A personal message from RENAULT RETAIL GROUP CZ, s.r.o. Rate and review RENAULT RETAIL GROUP CZ, s.r.o. in Prague, Czech Republic! 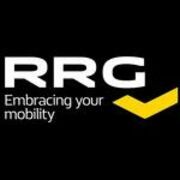 Share your experiences at RENAULT RETAIL GROUP CZ, s.r.o. with your friends or discover more Car Dealers in Prague, Czech Republic.